A collar is an essential accessory for every dog. It carries your dog’s identity in case it gets lost, and can help make a subtle fashion statement. One favorite type of canine collar among owners is the rolled leather collar. You may also hear them referred to as rolled or round collars. However, rolled leather dog collars are not suited for all breeds, and all are not of the same quality. But don’t worry, we are here to help you in your search for the best rolled leather dog collars. 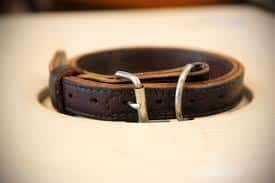 Before purchasing a rolled leather dog collar, there are a couple of things you should look for to ensure it’s the best match for your canine. Just like any other collar, size is significant. You want to make sure it is not too big to where the collar will slip-off or get caught on something, and not too tight to where it chokes your pet. To begin, use a tape measure or string to measure your pet. Be sure always to check the sizing guide provided by the manufacturer, and remember that these collars are two-inches longer than what the package states, this extra space is to account for adjustments. So if the box says it is 12”, it is exactly 14” in length. Also, if you find your dog’s neck measurement in between two sizes, then we suggest going one size up. But a general guideline to follow is the two-finger rule. If you can comfortably fit two fingers, maybe 3, between the canine and the collar, then the size is perfect. However, if you can fit more than 3 fingers under the neckband, then it might be too loose. Overall, a choker that properly fits will also keep your canine safe. Just like the fancy shoes we wear, the aesthetics of a round collar are essential. Make sure the style and color you choose looks good and matches your pet’s color and personality. The aesthetics do not affect the functionality of the neckband, but if you’re going to make your pup wear one, then make sure it looks good. You want to make sure you’re buying genuine leather and not some cheap imitation type of quality. Something to look for when shopping for a rolled choker is the soft texture of the leather, which is a good indicator of the overall quality and authenticity of the product. Also, some companies will inject their leather with oil or tallows to condition the leather, as well as waterproof it. At this point, if you still can’t choose a winner, then look carefully for additional features that will help you decide on the quality of the collar. Usually, the outer layer of leather is wrapped around a leather core, which helps it retain its round shape. Another result of the leather-wrapped core is that it provides a smooth surface around your puppy’s neck, so it doesn’t mat your dog’s fur or irritate its skin. Some companies will instead, to keep the prices low, wrap the leather around a nylon cord. Also, check the stitching of the choker to make sure it is not tearing or fraying. Be sure to also, check the durability and strength of the buckle, clasps, and D-ring. Give the buckle a couple of tugs to make sure it is solid and won’t break, and use your best judgment to make sure it is durable enough for your pet’s activity level and power. Lastly, a collar with the hardware riveted in will definitely add to the durability and quality of the rolled collar. $ Widths: 1/4", 1/3", 1/2"
The New Digby & Fox Rolled Leather Dog collar is made of super soft leather that is comfortable for both dog and handler. This product fits a wide range of neck sizes, ranging from XXXS-XXL, and each one can adjust, so it feels as if it were custom fitted for your pooch. These neckbands feature comfortable, padded handle with a brass ring that allows the leash (sold separately) or lead to be halved in length, for more control. It also features a leather strap keeper, brass D-ring, and the Digby & Fox tag. This round choker comes in 9 different colors. This fine rolled leather dog collar is reliable and durable. Its design features elaborate workmanship perfectly combines simplicity and elegance. Also, it is available in a wide range of 12 vibrant and beautiful colors. What sets this product apart from the rest is the combination of genuine leather and European technology, in which the leather is wrapped around a nylon cord. These products are robust and will not stretch or break. Each collar is handmade and stitched with wax thread. Also, each one features a rivetless design which prevents hair from getting caught or tearing. The leather is dyed and not painted, so the color will not fade or come off. It is excellent for everyday use, and perfect for canines with long hair and sensitive skin. Whereas nylon, flat collars may irritate your pup’s skin, sometimes causing the area around the choker to bald. Also, keep in mind the width of the varies depending on the length. One advantage is that this collar will become softer and more supple with age while maintaining its beauty and natural color. Customers have raved about the durability and longevity of this item, lasting five years plus. These super soft rolled leather collars are lovely luxury pieces for everyday use. This leather collar by BronzeDog can fit a wide range of neck sizes, from 7″ to 21″. Each collar has a width of 3/4″. This rolled collar is ideal for small, medium and large dogs. This item is made of soft full grain genuine leather. Also, it features a durable steel buckle and ring. Its elegant design makes it great for daily use as well as special occasions. These rolled dog collars are soft, yet reliable and robust. Also, its round shape provides comfort to your pets. This product is available in various colors: pink, red, blue, green, rose and brown. This product is perfect for all breeds, especially canine’s with long, shaggy fur because they prevent collar lines, matting, and skin irritation. Just like any other product, this one gets softer and supple as the years go on. The Circle T black is made from full grain, top quality latigo leather that has been vegetable tanned, and will not mat hair, so it is the perfect choice for long-haired dogs or canines with sensitive skin. This round neckband is expertly sewn together and has a leather core to maintain its rounded shape. This round collar is perfect for long-haired dogs or dogs with sensitive skin. This collar measures 18-inch length by 3/4-inch width, but is adjustable to fit necks 13.5″ to 16”. This product is guaranteed to last years. This rolled dog collar comes in nine color combinations, and feature nickel-plated brass or stainless steel/alloy buckles. These rolled collars for dogs are constructed with high-quality genuine leather and are strong and durable. There is a nylon cord inside to reinforce the collar’s structure. This rolled leather collar features a contemporary design, suitable for well-dressed dogs. Even better, this product is weather resistant and will not fade from exposure to the elements. This product is approximately 1cm wide for small and medium sizes and 1.5cm wide for the larger sizes. They come in six sizes from XS to L (6 inches – 21 inches). This round collar is recommended for breeds with longer coats, which can become rubbed or tangled by wider, flatter neckbands. You can clean this product with a saddlery leather cleaner, like saddle soap. To reinvigorate the buckle and hardware, polish with a metal cleaner. As a preemptive measure, it is suggested to oil the collar immediately after purchase. What Type of Breeds Should Wear a Rolled Choker? All types and sizes of breeds can wear a round collar. But some types of breeds definitely benefit more than others when they wear rolled collars. 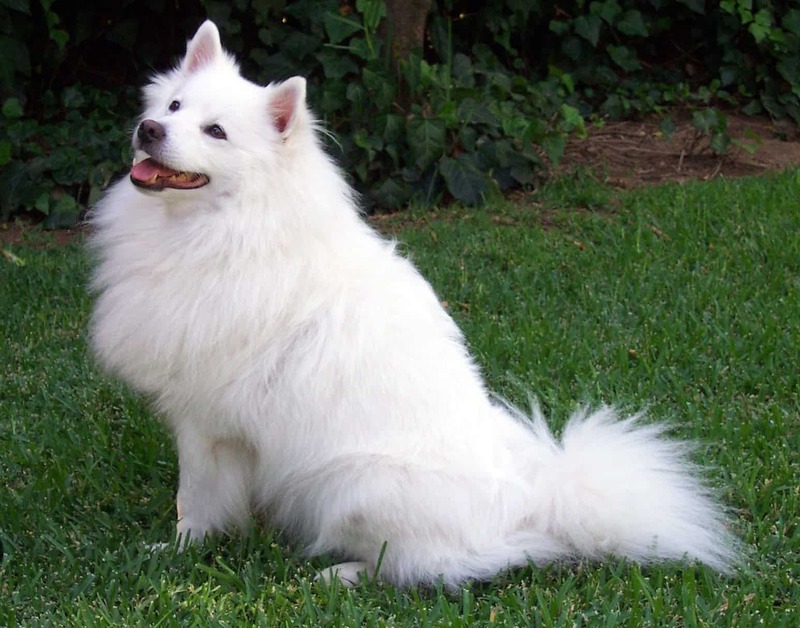 When dogs, with long or thick fur, wear other kinds of neckbands, their fur has a tendency to mat and tangle, which can irritate the pup. It can also be irritating to you since you’ll be the one that will have to untangle the mess. But the soft texture will not do any of that to the dog’s fur. Unlike neckbands made of nylon or other cheaper materials that can irritate your dog’s skin, the soft leather from a round collar is excellent for canine’s with sensitive skin. What Types Should Not Wear a Round Leather Collar? Although rolled dog collars is ideal for most breeds, dogs that pull are not suited for them because the leather and hardware used cannot take that type of duress. 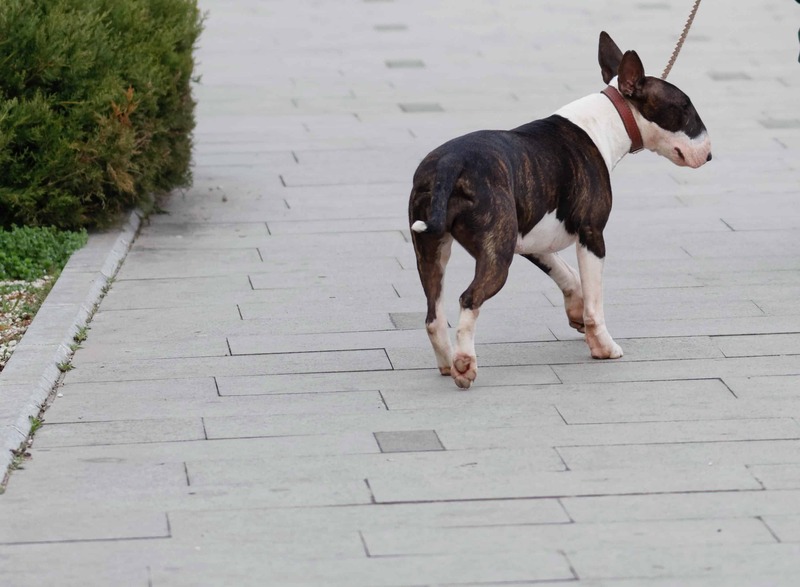 If your hound is a puller, then you might want to look into a no-pull harness. Another benefit of its wrapped rolled leather core is that it makes the collar extremely strong and durable, and can withstand the average wear and tear better than other materials. Depending on the craftsmanship, a high-quality rolled collar can last for years. Did you know, that you can also clean them with beeswax? What’s also great about these neckbands is that they get softer and supple over time. Just like any product you buy for your dog, it’s all up to you. Make sure you pick a round collar that fits your lifestyle and needs, and has soft leather and is durable. So for 2018, we recommend the Digby & Fox which comes in nine different sizes and colors. The high-quality rolled leather dog collar is very soft, durable, and will not tangle your dog’s fur or irritate its skin. 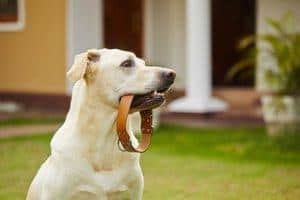 We hope you enjoyed reading our top 5 picks for rolled leather dog collars in 2019. I believe HUND Denmark is relatively new to the American market but you may want to take a look at them to help your readers find the best rolled/round leather dog collar. Their round collars are all hand made from Italy’s finest Sustainable leather to protect the environment. Likewise they have removed the outside stitching/edging on their round collars to really eliminate any irritation to the pup. All their products are made of high quality materials only like solid brass from Europe. Thanks for the comment! Do you work with HUND? Would love to know more about their collars!